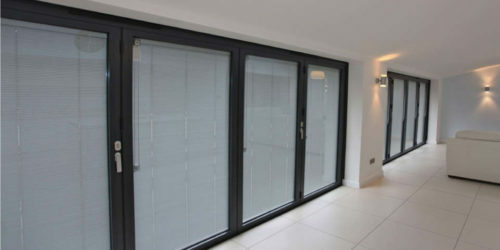 A folding sliding door, or ‘bi-folding door’ fills a room with light, making it feel bigger and brighter. 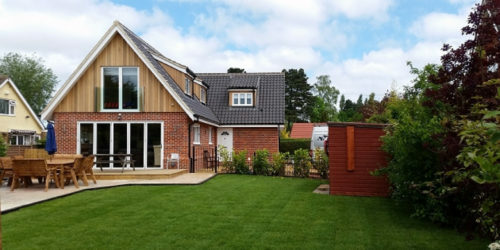 It adds a beautiful wow factor and opens up so many more opportunities to utilise your home space, inside and outside. With our market-leading sliding folding doors our slim aluminium frames help create a seamless transition between indoors and out. 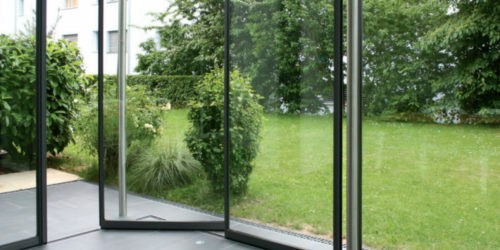 Sliding folding door systems allow entire walls of glass to be opened almost effortlessly. 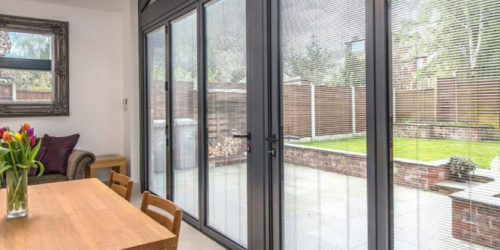 Whether you’re shopping for a patio revival or working on a contemporary kitchen extension, our aluminium bi-folding doors will be made to measure to your exact requirements and preferences. Available in a range of styles, opening configurations and colours you can add light and energy to any space. Get in touch today to discuss your project with us. As our name suggests, we have several bi-folding products available, from top of the range German engineered systems to more cost effective solutions, and we always select products that are a high quality in their design, performance and fabrication. All this means that we really have an option to suit every project! Our premium systems can be manufactured with very large folding panels and an almost silent gliding system. They can even include specialist features including moving corners and curved wall openings (achieved with a faceted track). The OPT94 is the slimmest available today in the market and offers a sightline of just 94mm! It is surprisingly affordable whilst retaining many of the features of the other systems. Our OPT100 and OPT 114 systems can have lager panel sizes and also include the specialist features aforementioned. 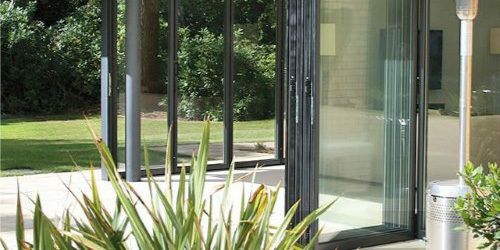 All our systems make a great bi-fold patio doors to bring the outside in.